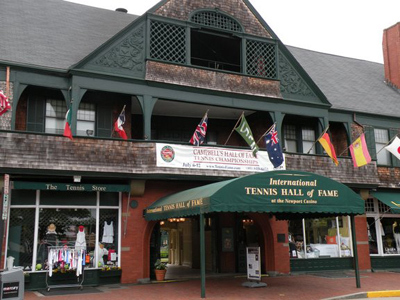 Bellevue Avenue, or "The Avenue", as its known to some of the older locals, is teeming with history. Its only 2 1/2 miles long, but it contains more history and elegance than just about any other avenue in the nation. Bellevue Avenue was home to many of America's elite during the Gilded Age. Its residents included the Astors, Vanderbilts, Morgans and other members of "the Four Hundred" (New York's premier social list), who made Newport Rhode Island their summer home. These families had opulent mansions designed and built for them, and enjoyed a life of luxury in their "summer cottages" overlooking the Atlantic Ocean. 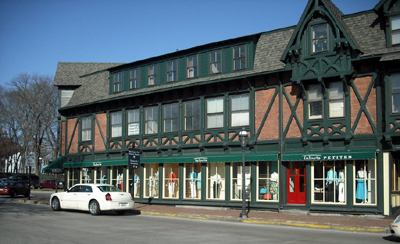 In addition to the mansions and other attractions, "The Avenue" is known as one of the finest shopping districts in the city. 1. 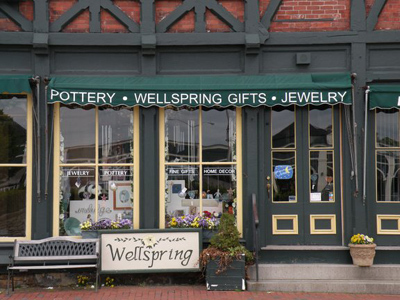 WALK - Newport is a walking town. Not only is it easier to get around this way, but you'll get some exercise walking off all the calories you take in at the fabulous Newport Rhode Island restaurants! 2. 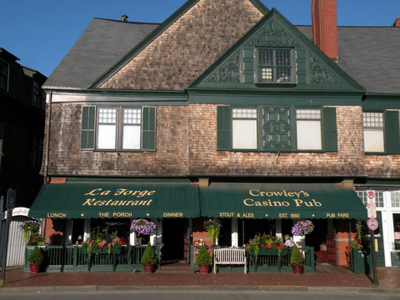 Take the RIPTA Trolley - Either walk to or park your car at the Gateway Visitors Center on America's Cup Avenue. From there you can get an all-day pass (that is valid for 24 hours) for just $5. Just ask the bus driver for a "RIPTA Rider Receipt", and you can park at the Visitors Center all day for just $2! The trolley service on the Yellow Line (Route 67) runs year round/7 days a week. It will take you to the Newport Mansions and the shopping district. 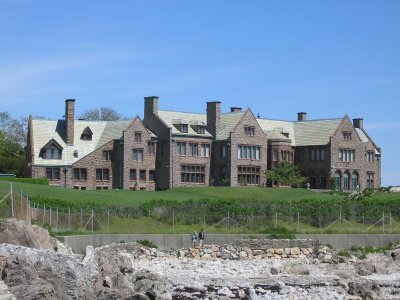 During the summer, the trolley will take you to the Cliff Walk and all the way down "The Avenue" to Rough Point, the home of Doris Duke (seen below). From it's beginning (at the Hotel Viking), to it's end (at Rough Point), Bellevue Avenue is packed with history to see, things to do and places to eat. Newport Creamery - Try their signature drink, the "Awful Awful"
Check out the map below, and just click on any of the placemarks to get an exact address and location.